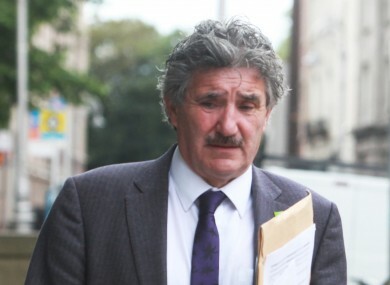 JUNIOR MINISTER JOHN Halligan has hit out again at the party whip system, calling for a free vote in the Dáil for an upcoming bill on abortion. Speaking on RTÉ’s Marian Finucane show, Halligan said that he didn’t think there was “anything worse” than having a TD in the Dáil voting a way that he didn’t want to. “This is a new Dáil, this is a new concept as to what the Dáil is about,” said Halligan. “And I don’t think there’s anything worse than having a TD that is in the Dáil being forced to vote a particular way he doesn’t want to. That is not fair, it’s not right, it’s not good for politics. Halligan was contributing to a discussion on a private member’s bill to do with abortion that was presented by Wexford TD Mick Wallace to the Dáil last week. Wallace’s bill seeks to amend the Protection of Life During Pregnancy Act to allow pregnant women who have been given diagnoses of fatal foetal abnormalities to have a termination in Ireland. Halligan and other members of the Independent Alliance in Cabinet are seeking a free vote on the bill, stating earlier this week that it is a matter of conscience. Pressure has been mounting Enda Kenny to give members of his party and the government a free vote on the proposed legislation when it comes up next week. Cabinet ministers have been informed that the proposed bill has been declared unconstitutional by Attorney General Máire Whelan as it clashes with the Eighth Amendment. The Eighth Amendment grants the equal right to life where practicable to the mother and the unborn child. The government’s approach to addressing the mounting concern over the Eighth Amendment has been to put it to a Citizens’ Assembly – a group of 100 people who will discuss the issue – which will meet in September for the first time. Also speaking on RTÉ this morning, Fine Gael TD Kate O’Connell – who gave a heartfelt speech around abortion in the Dáil this week – said that she would not be supporting the bill because it was “bad legislation”. Kate O'Connell speaking in the Dáil during the week. “I wouldn’t want a free vote on this myself because it’s still bad legislation,” said O’Connell. It will get nowhere ultimately. Seán Fleming from Fianna Fáil said his party would have free vote on the issue and that “matters of life and death” were conscience votes. “I’m surprised fine Gael haven’t yet come to the point of view on this issue that the country is at” he said. Email “"It's not fair, it's not right, it's not good for politics" - John Halligan isn't happy with the party whip system”. Feedback on “"It's not fair, it's not right, it's not good for politics" - John Halligan isn't happy with the party whip system”.